Brilliant Brickpaving specialises in brick paving services for residential homes and commercial properties in Perth, Western Australia. We are based in Rockingham and are happy to quote on all work south of the river. Our goal is to provide you with professional unbiased advice so you can choose a paving solution that best suits your needs and budget. With over 20 years brick paving experience in Perth, we are knowledgable on a wide variety of styles, patterns and materials that will compliment your property or outdoor living area. We offer Free Quotes south of the river, so email us or give John a call on 0417 989 979 to see how we can help with your brick paving project. No matter what your brick paving needs - big or small - pathway, driveway, patio area or pool surrounds - we can help. Please feel free to visit our photo gallery or brick paving patterns pages for some inspiration, or our services page for a full list of services we can help you with. We will even supply some of our testimonials upon request. 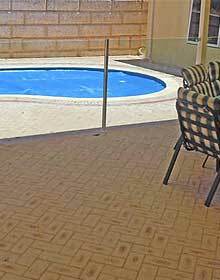 Paving bricks are most commonly made from clay or concrete. We can advise which paving material will best suit your needs. Most of the popular brick paver manufacturers now offer a wide a variety of colours and tones to compliment your outdoor area. There are now dozens of different styles of pavers to suit your needs with a wide range of textures, shapes and appearances. 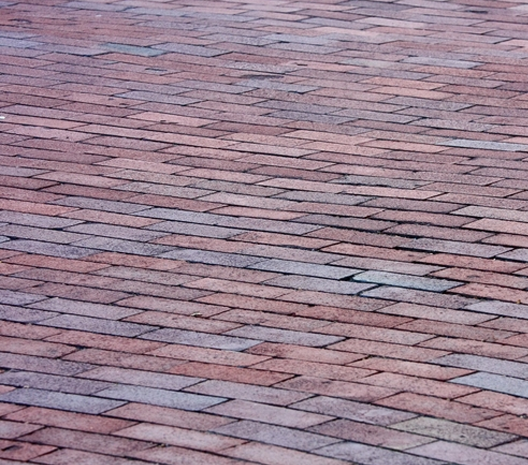 Brick Pavers come in a huge variety of shapes, sizes, colours and textures. Many of these shapes and sizes are created purely to allow people to create patterns to suit their outdoor living areas, and some are created for added strength like the interlocking driveway pavers. 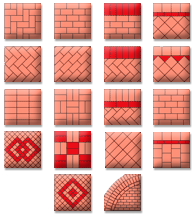 Brilliant Brickpaving can help you choose a suitable brick paver based on your pattern preferences - all you need to do is call us for a free quote. We can help you choose a suitable brick paver based on your pattern preferences. Why pay several freight or cartage fees when we can help you get it right the first time? Please feel free to visit our photo gallery or brick paving patterns pages for some inspiration, or our services page for a full list of services we can help you with. We will even supply some of our testimonials upon request. We offer Free Quotes south of the river, so give John a call on 0417 989 979 to see how we can help with your brick paving project. Adds value to your home with low maintenance and long lasting properties.